Does opponent fighting your creature trigger 'whenever your creature fights'? I think you've got a Modern deck here, not Standard. Wall of Tanglecord is strictly better than Fortified Rampart . Tetsuko Umezawa, Fugitive would be great here, as would Slaughter the Strong . 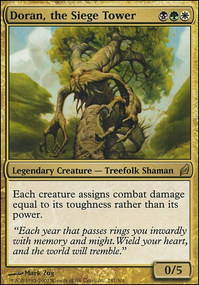 If you want to draw more cards then I'd suggest lowering the land count and average CMC of the deck. 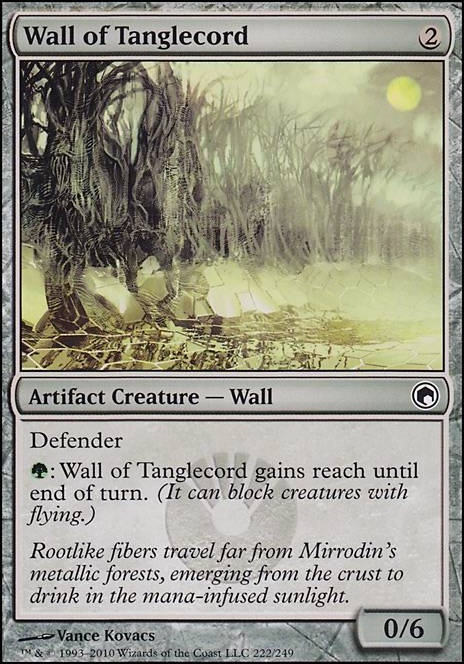 You don't need cards like Angelic Chorus or Felidar Guardian, I'd just add some 1-2 CMC Walls like Wall of Tanglecord. Also instead of two [Gurmag Angler] and two Relic of Progenitus in the side I would put two Nihil Spellbomb and one Dross Golem or Wall of Tanglecord (For blocking your opponents Gurmag Anglers or other big things) or Gravepurge or another piece of hate such as Doom Blade, Disfigure, Terror or Murder. I think you might want Wall of Tanglecord instead of Fortified Rampart. All colorless mana requirement and can gain reach in a pinch. Only drawback is it loses the reach if you have to board in Stony, but even in that case, it's effectively the same as the Rampart. Amaranthine Wall and Hornet Nest are ones that I am still considering. The indestructibility is definitely a nice ability and being able to make a bunch of 1/1 flying death touchers when someone blocks the nest is pretty awesome. Fog Bank, Guard Gomazoa, and Mindbender Spores are all great cards if you are going a more defensive route. I chose to exclude them because I am a more aggressive list and I wanted big (4 toughness or greater), cheap walls. Hover Barrier, Monastery Flock, Wall of Air, and Living Wall could all easily be swapped in here and are a preference choice if you are worried about fliers. My deck personally doesn't want cards like Manor Gargoyle, Ezuri, Claw of Progress, Woolly Razorback, Plumeveil, Soulbound Guardians, or Fortified Area as all of these cards either have power greater than 2 or pump my creatures power. I rely heavily on staying at 2 power or less so I can abuse Tetsuko Umezawa, Fugitive or Sidar Kondo of Jamuraa. The same goes for Doorkeeper. 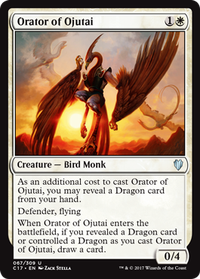 Mill is already hard enough to pull off with a dedicated mill deck in EDH because decks are large and there are 3 opponents. I'd rather play either larger walls or defenders with more relevant abilities. The banding suggestions are interesting. I had to re-read the rules on banding and I did not realize it also affects attacking creatures. Those could be interesting, I'll have to think about that. Champion's Helm is a great suggestion. Wave of Reckoning is a good board wipe for Arcades, however, I feel that the 4 I have all have a bit more upside. Spidersilk Armor and Tower Defense are awesome with Arcades and may very well end up in my final list. Right now I want to try out Hold the Gates over Spidersilk Armor as it has a higher upside and I already have a number of answers for fliers (Wonder, Angelic Wall, Wall of Tanglecord, Wall of Denial and Arcades himself). Since this list is aggressive, I think vigilance is actually a more impactful keyword in my deck. I already have a pseudo Tower Defense in Defender of the Order. I don't think Defender is particularly better than the Defense, but I have an old foil of it from Legions which I just really want to play. Thanks for the comments and if you ever want another pair of eyes on your deck, let me know.